Need a cavity filled, but don’t want a mouthful of metal? At Linhart Dentistry we use composite resin, a natural-looking, tooth-colored alternative to unsightly silver fillings. 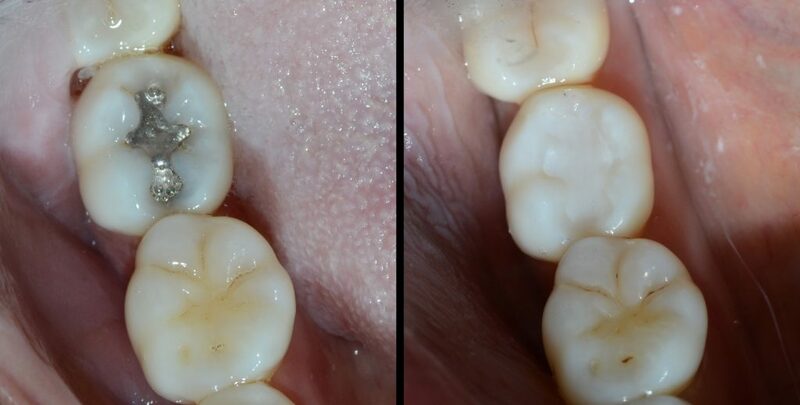 Silver amalgam fillings are outdated and hinder the beautiful restoration of your smile! Composite resin is a tough, plastic material that is simple to apply and virtually impossible to detect. We tint the putty-like resin to precisely match the patient’s natural tooth color. The color-matched resin is then packed into the tooth cavity and exposed to a special light that causes it to harden rapidly. The end result – a filling so natural looking that only you will know it’s there! To find out more information on composite resin fillings, or for a dental consultation at Linhart Dentistry, please Contact Us!